Highly respected boxer, Sam “King” Soliman on his return from Sylvester Stallone’s The Contender, made a special visit to MDA’s Futures Program. Sam spent the afternoon with program participants talking about his boxing experiences including his latest adventure on The Contender, hosted by the legendary Sugar Ray Leonard. Program participants had the opportunity to ask many questions and to see first hand just what a Championship Belt looks like. MDA appreciates the time that Sam made to visit MDA, given that he flies out on Sunday to complete his participation in The Contender. 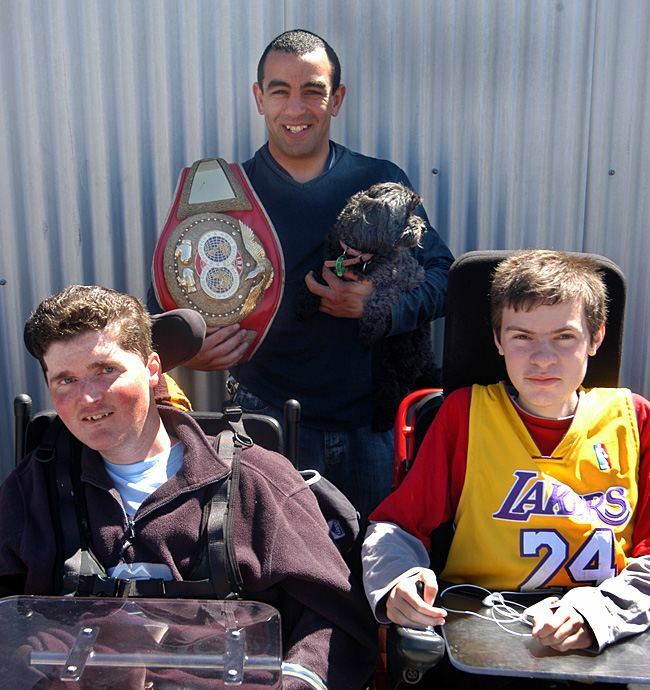 MDA wishes Sam well in The Contender and his future bouts – “You’re a Champion in our eyes”. “Bring it on” Sam tempts Boris to have a go!